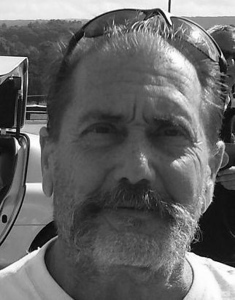 The Bristol Press - Francis P. Labriola Jr.
Francis P. Labriola, Jr., 65, “Paul,” “Paulie,” “Mousie,” of Bristol, died unexpectedly on Sunday, Feb. 3, 2019, at Bristol Hospital. Paul was born on Jan. 21, 1954, in Bristol and was a son of the late Francis P. Labriola, Sr. and Arline (Marasco) Labriola and step-son of the late Theresa Labriola. He was a lifelong Bristol resident and graduate of Bristol Eastern High School. Paul worked for New Departure, Napco, Trumpf, and Yarde Metals before retiring and spent much of his free time working on cars his favorite being Mopar/Dodge. He was a great cook, loved the beach, but most of all he especially loved his grandsons. Paul is survived by his three sons, Francis P. Labriola, III and wife, Christin, Todd Labriola, and Ryan Labriola and wife, Angela, all of Bristol; a sister, Karen Procko and husband, Dave, of Burlington; a brother, Robert Labriola and wife, Barbara, of Bristol; four grandsons, Todd Labriola, Jr., Luke, Drew, and Nolan Labriola; and his godson, Michael Labriola. Posted in The Bristol Press, on Tuesday, 5 February 2019 19:28. Updated: Tuesday, 5 February 2019 19:31.